Elizabeth A. Bennett, Q.C., of North Vancouver, is appointed a judge of the Supreme Court of British Columbia in Vancouver. She replaces Mr. Justice C.R. Lander, who has chosen to become a supernumerary judge. Madam Justice Bennett graduated in law from the University of British Columbia in 1981, and was called to the Bar of British Columbia in 1982. Madam Justice Bennett practised law as trial counsel for the Attorney General of B.C. until 1987 and then as Appellate Counsel until 1984. She then joined the firm of Peck, Tammen and Bennett, where she mainly practised criminal law and constitutional law. Since 1996, Madam Justice Bennett has been acting as Appellate Counsel for the Attorney General of B.C. Madam Justice Bennett is the author of numerous publications on criminal law matters. Judge Bennett had to be looking forward to the end of the trial, but she gave no indication of her feelings, remaining as stern as ever. She was very careful and very good at her job. She looked like she could clean up in a poker match. At one point, [David] Gibbons [leading defence lawyer] made a joke and everyone laughed, including Bennett. She looked so much younger when she smiled, and very playful. It was as if a mask had slipped, but it had slipped briefly, and she resumed her professional air. Sometimes there was a hint that she had a good sense of humour but clearly she liked to have a controlled, professional atmosphere in the courtroom. Too much humour, or too much posturing, was discouraged by the occasional comment from the judge's seat. Otherwise, she rarely interrupted. Lucinda: Please forgive me for posting this complete report. It's a good one, full of information which the public needs to know. I didn't want to leave any of it out. That's a sincere compliment. Thanks to Les Leyne for the kind of excellence in journalism which serves to keep a province honourable. And, June 1, a hard-hitting Letter to the Editor written by Dale Perkins of Victoria. And then, my gosh, it just goes on and on ... and this isn't even looking at casinos. - BC Mary. The B.C. Lottery Corp. wasn't the only outfit that dropped the ball when it came to double-checking suspicious retailer wins. Ombudsman Kim Carter's exhaustive look at how lax the system is when it comes to probing retailer wins went beyond the internal workings, or non-workings, of the corporation. The government's Gaming Policy Enforcement Branch was also examined. It came up well short of what might be expected. Carter looked at four years worth of work from that branch. From its creation in 2002 up to 2006, "it did not conduct any audits or investigations into the lottery retail network or into its complaints handling process." Sometime in 2003, it confirmed that the lottery corporation had a statutory obligation to report any suspected fraud to the branch. But a year later, when the branch got two e-mails about suspected retailer fraud, it didn't bother treating them as formal notifications that would trigger investigations. Carter said: "In the small number of complaints it received about lottery retailers it relied on BCLC to conduct the investigation." And the lottery corporation, as she made abundantly clear, had next to no interest in investigating much of anything. Carter also took a detailed look at the branch's investigation last winter when the integrity of the lottery retail network first came into question. And what she found was a superficial patch-up job. Although the branch did have some systemic concerns about the corporation's prize payout system, the report it produced didn't reflect them. The enforcement branch claimed to have reviewed 74 files forwarded by the corporation involving attempted fraud. In fact, Carter said, it only looked at short summaries of those investigations. The branch said in December it was satisfied the corporation had handled the complaints appropriately. But when Carter sat down with officials three months later, they told her they "had not yet received the complete files and could not confirm that the appropriate action had been taken in each case." She said the enforcement branch obviously had some concerns about the scrutiny of winners claiming prizes of $10,000 or more. But she found it did not investigate that issue. "In our view the overall tone of the report is reassuring rather than seriously concerned. The depth of the investigation and the fact that a number of disquieting pieces of information were toned down or left out contributes to this result," the ombudsman found. The branch's report didn't discuss the fact the corporation relies on retailers to identify themselves when claiming wins. It didn't point out that BCLC has no way to verify if claimants are retailers. It didn't identify the fact there was inadequate scrutiny of retailer wins, or that the corporation had paid out prizes to retailers with suspiciously vague stories about when they bought their tickets. Most significantly, Carter found the branch "only took a cursory look" at prize payouts under $10,000, despite the fact that category accounts for 99 per cent of all winning tickets. "It appears GPEB did not independently investigate this area and simply relied on lottery corporation assertions," the ombudsman concluded. Here's the comparison of investigations. The ombudsman uncovered enough to write a scathing report that prompted an apology from the corporation, a verbal lambasting by the minister and a whole new independent audit. The Gaming Policy Enforcement Branch found nothing. "I'm a lot less than pleased about the report they delivered in December," Solicitor General John Les said after it all came to light. "I'm going to be very interested in the recommendations of the auditor in the next several months. It may well be that changes need to be made there." His personal motivation for staying on top of this mess is that the branch left him looking pretty foolish. He relied on them for background -- as any minister would -- when he wrote a letter published in the Times Colonist last winter parroting the line that generally, all was well. "Detailed investigation" of retailer wins, he assured one and all. "Rigorous and extensive testing," he promised. "No issues have surfaced." It was all a snow job. He was roasted in the legislature yesterday, but relied on the new independent audit that he ordered in response to Carter's work. There's no idea what that will turn up. New Democrat Bruce Ralston called that an "investigation of an investigation of an investigation." But this province's supposed gaming-enforcement watchdogs go into it with two strikes against them. VANCOUVER -- Questions were raised in the British Columbia Legislature yesterday about a piece of land that was allegedly "flipped" by a numbered company to the province when the government began acquiring a right of way for a massive transportation project known as Gateway. Guy Gentner, the NDP MLA for North Delta, suggested in the House that the government paid too much for the land, allowing the company to pocket $1.9-million in profits. Mr. Gentner said that nearly 40 per cent of the cost of the $1.1-billion South Fraser Perimeter Road, which is a key piece of Gateway, is allocated for land acquisition, making it the largest purchase of property for any highway project in B.C. 's history. "For speculators, there's a lot of money to be made here," Mr. Gentner said in directing questions to Kevin Falcon, the Minister of Transportation. Re: "Lotteries, minister failed the public," editorial, May 30. The provincial ombudsman's report is just the tip of the iceberg. What we now discover is that B.C. 's entire gaming industry is run by a Crown corporation that lacks ethical and moral integrity. This latest scandal is all about lottery ticket customers swindled by dishonest retailers. However, just as important are the thousands of pathological gamblers in the province who are enticed by B.C. Lotteries' slick ads and promotions. This scandal is about the suicide victims who died because of their gambling addictions. It's also about the many, many families and marriages that have failed because of gambling. This government has become addicted to gaming revenue and lacks the moral fortitude to admit the error of its ways. This government also lacks the courage to keep the promise to "stop the expansion of gambling that has increased gambling addiction and put new strains on families," a B.C. 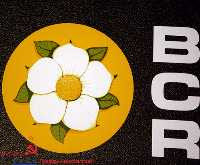 Liberal "New Era" promise made during the 2001 provincial election campaign. C. James: In December 2006 the Solicitor General told British Columbians that there was nothing to worry about. He said the B.C. Lottery Corporation was doing its job to protect consumers. Well, yesterday's damning report proves that the Solicitor General misled the public or was himself misled. Either way, someone has to be held accountable for the failures and attempted cover-up. The minister must take action. He must hold someone accountable. Hon. J. Les: Perhaps it would be helpful for the Leader of the Opposition if I went through the chronology again of what transpired since October of last year. Members of the House will recall that in October last year, concerns were raised with respect to the operations of the lottery system in the province of Ontario. I immediately asked our gaming policy and enforcement branch to undertake an investigation of the B.C. Lottery Corporation to ensure that similar problems did not exist here in British Columbia. That report was completed on the 14th of December. I was advised that although there were some issues, in terms of its technical integrity the system in British Columbia was working fine. I so advised the public. I should say, as well, that the Ombudsman's investigation was commenced within a week after the investigation of the gaming policy and enforcement branch. Clearly, that Ombudsman's report, which was tabled yesterday, was entirely unacceptable in terms of the conclusions that were reached with respect to the operation of the B.C. Lottery Corporation. Mr. Speaker: The Leader of the Opposition has a supplemental. C. James: The minister can't duck this one. He can't try and hide from this one. He made a statement to the public in British Columbia in December. He said: "The issues have been fully investigated and resolved." That was pretty clear from the minister, but the Ombudsman report said that there was no way to substantiate the minister's claims. Again, my question to the Solicitor General…. He's been caught up in his own incompetence or been caught misleading British Columbians. The minister wants us to accept that everyone involved gets off scot-free. Well, that's not good enough. Will the minister now resign? Hon. J. Les: What I was attempting to convey to the member opposite is what I reported in December was based on information that was provided to me at that time. I share the member opposite's outrage in terms of the recommendations that have flowed from the Ombudsman's report. We all ought to be equally outraged that the lottery system in British Columbia was not working as it should. We are absolutely committed to making sure, first of all, that all of the recommendations of the Ombudsman's report are fully implemented. We will go further. We are going to bring in an outside auditor to ensure that there is a complete review not only of the lottery system within the B.C. Lottery Corporation but also the gaming policy and enforcement branch to ensure that we can make further improvements that will guarantee the proper functioning of this body in the future. C. James: I heard the minister say that he was outraged. Outrage isn't good enough. Action and accountability are what's needed from this minister. Let's remember that it was the Solicitor General himself who ordered the investigation — the investigation that according to the Ombudsman report turned out to be a whitewash. He is responsible for that failure. He didn't do his job, and he didn't follow through. He left consumers vulnerable to fraud. The incompetence and the cover-up are on his desk in that report. If the Solicitor General disagrees, then why won't he fire the people who were responsible for this? Hon. J. Les: I have already said that there will be a complete review by an independent auditor. When the results of that review come in, the chips will fall where they may, and everyone will be held properly accountable. That is a commitment that we intend to uphold. B. Ralston: The Lottery Corporation service plan states: "The BCLC complies with all policy directives issued by the minister." The minister ordered that the original investigation, which reported on December 14…. That was an investigation conducted by the gaming policy and enforcement branch. He signed off on it. The Ombudsman's report, which examined that report, found that the so-called investigation didn't look at the complete complaint files — only summaries. There were no written records of the interviews conducted. So will the Solicitor General admit — and he's had a day to reflect on this — that the investigation he ordered was a complete whitewash and that he participated in a cover-up? B.C. Lottery Corp fires its president. Will more heads roll? The head of the B.C. Lottery Corp. was fired today, three days after the release of a scathing report that found the corporation didn't do enough to prevent dishonest retailers from stealing customers' winning tickets. Solicitor-General John Les said he supported the decision by BCLC's board to fire chief executive officer Vic Poleschuk. And he suggested more heads could roll after the conclusion of an independent audit he ordered Tuesday into BCLC and its government regulator, the Gaming Policy and Enforcement Branch. "We're going to make sure that everybody who played a role that is less than responsible is held accountable," he said. "Let's expose everything. Let's let the sun shine in." But NDP Leader Carole James said it's Les - whose ministry is responsible for both BCLC and the regulatory branch - who should go. "It's the minister who's ultimately responsible," she said. "And it doesn't appear that he's going to resign. So I think the premier should have the courage to fire him." BCLC's board members, who are appointed by the province, met Thursday evening and this morning by phone to discuss the report into retailer fraud released Tuesday by B.C. ombudsman Kim Carter. Shortly after 11 a.m., it sent out a brief news release announcing Poleschuk's termination. "The board of directors has decided a change in leadership is required and we've taken that step," board chair John McLernon said in a written statement. The statement said the board would be meeting next week to discuss an interim CEO and had confidence in the rest of BCLC's executive team. John Fraser, a spokesman for the board, said no board members be commenting further on the matter. Fraser said the board has not yet decided on what, if any, severance Poleschuk will receive. Poleschuk, who's been with BCLC since 1985 and its CEO since 1999, was paid $442,667 last year. A message left for Poleschuk at his home in Kamloops was not returned by late afternoon. Carter launched her investigation of BCLC in December after the Vancouver Sun reported lottery retailers in the province were winning major prizes at several times the rate of the general public. According to internal lottery documents obtained by The Sun, over the past six years, those who sell lottery tickets have won 4.4 per cent of all lottery prizes over $10,000 - a rate three to six times what would be expected given their share of the population. Retailer wins were more common for some games than others - with a high of 11.6 per cent for Keno. The figures, obtained through a Freedom of Information request, raised fears retailers might be stealing customers' winning tickets - by, for example, falsely telling a customer their ticket was a loser. Immediately following The Sun's December story, BCLC said it had confidence in its security system and believed the high rate of retailer wins was simply due to them playing more often. However, Carter's report found major problems with virtually every aspect of BCLC's payout procedures - such as the total lack of scrutiny for prizes under $10,000. Carter's investigators also uncovered more than 20 examples of retailers who won multiple times over just a few years and others who were paid out big wins even though they couldn't tell BCLC when or where they bought their ticket. Everything about the B.C. Lotteries scandal is just so sleazy. It's not just the incompetence and the false assurances. No one is taking responsibility. The government corporation charged with promoting gambling left the door wide open for fraud. People who bet on Keno or lotteries - and against all odds win - risk being cheated out of their prizes. It's easy for corrupt retailers to tell people their tickets are worthless, then turn around and claim the prize. The public guardian is supposed to be the Gaming Policy and Enforcement Branch in the Solicitor General's Ministry. But it was useless. Worse than useless, really. When the issue finally became too big to ignore, the branch didn't investigate to see if people were being cheated. It offered up false reassurance. So did Solicitor General John Les, who provided inaccurate information to the public about their safety from fraud and theft. And none of this would have come out, if it was left to B.C. Lotteries or the ministry. It would have been hidden. But the CBC did a story on the extraordinary number of lottery ticket sellers who won prizes in Ontario. The Vancouver Sun filed a freedom of information request, and reported the same was true in B.C. That was last fall. The news stories offered the government and B.C. Lotteries a chance to respond with a real investigation. They didn't. Quite the opposite. Instead of addressing the problems, they went into what the NDP calls cover-up mode. B.C. Lotteries and the enforcement branch claimed they had investigated and there was nothing to be concerned about. There were only 74 cases of potential fraud and everyone had been investigated, B.C. Lotteries said. The Gaming Policy and Enforcement Branch said it had done its own investigation and everything was fine. It had reviewed all 74 cases, the branch said. Les said the public had nothing to worry about. "In the past few years, the B.C. Lottery Corp. has received only 74 complaints about lottery ticket validation concerns and those were all fully investigated and resolved," Les said "When a retailer claimed a prize, a detailed investigation was conducted." The government said that should end the matter. But the province's ombudsman was hearing from consumer complaints and decided to launch an investigation. The ombudsman's findings, just released, are grim. There are no effective procedures to protect people from being cheated. Neither the lottery corporation nor the enforcement branch did anything to check for scams by unscrupulous dealers in kiosks, stores or bars. It was up to the public to somehow detect fraud. But when people did complain, they were usually brushed off. That claim of 74 cases. False, the ombudsman said. There were more like 200. The claim that every case was investigated. False. The enforcement branch's statement that it had reviewed the corporation's handling of those cases. False. The claims of controls to ensure retailers weren't cheating. False. The enforcement branch's performance was particularly dozy. In the four years since it was created, the branch did not conduct one investigation into the integrity of the lottery corporation's retail network. The law requires every suspected case to be reported to be the branch, but it never noticed that it hadn't received a single report since 2002. Part of the problem with the B.C. Lottery Corp. is the people running it: Fire the top echelon and start over. Take a tip from Australia. There, you can buy a registration card, which, when presented with your lottery submission, will register the ticket(s) in your name only. This costs $2 a year. Further, if your ticket is a winner and has not been claimed within two weeks, a cheque for the winning amount will be sent to you at the address on your registration card. So tickets lost, stolen or put through the washing machine are no longer a worry. I lived in Western Australia for quite a few years, and I would occasionally get a cheque in the mail for a winning ticket that I thought I had checked, but obviously hadn't. I remind you of ... the government's total dysfunction when it comes to policing gambling. The B.C. Gaming and Enforcement Branch is the same outfit that issued a misleading, error-riddled report last fall saying everything was fine with the province's lottery-retailing system. That didn't satisfy B.C. Ombudsman Kim Carter, who issued last week's devastating report revealing that the system is wide open to theft and fraud by unscrupulous ticket sellers. The bottom line: Firing lottery chief Vic Poleschuk was the correct move -- though at first defending him and then letting him twist in the wind all week shows just how dazed and confused these people are. To restore confidence, more heads must roll. The B.C. Lotteries board should be fired, too, and then the granny-hunting enforcement branch should be cleaned out and overhauled. VANCOUVER — A special prosecutor investigating a police raid on the B.C. legislature is shirking his public duty to be neutral in the case, a defence lawyer suggested Friday. Lawyer Michael Bolton said that special prosecutor Bill Berardino appeared to side with a former lobbyist who had apparently cut a deal with the Crown to testify in a fraud case against two former Liberal government aides. The aides, Dave Basi and Bobby Virk, are at the centre of the controversial $1-billon sale of B.C. Rail and the raid on the provincial legislature in 2003. Prosecutor Berardino arranged for an immunity deal with Eric Bornmann, the former lobbyist and partner in Pilothouse Public Affairs Group who has confessed to bribery. Pilothouse was representing American company OmniTRAX, one of three bidders for B.C. Rail, which the provincial government ended up selling to CN Rail in November 2003. It’s alleged that Bornmann paid almost $30,000 to three Liberal officials in exchange for government information. B.C. Supreme Court Justice Elizabeth Bennett has heard that Bornmann confessed to bribing former government aide Basi, who along with Virk is charged with fraud, breach of trust and accepting benefits in connection with the sale of B.C. Rail. The Crown also alleges that Basi’s cousin, Aneal Basi, a Liberal communications officer, laundered the bribery money. Bolton said Bornmann created false employment for Aneal Basi, who gave the money he received to Dave Basi. Berardino’s actions allowed Bornmann to continue lobbying the B.C. government even after he’d admitted to the serious bribery allegations, Bolton said. Bornmann had applied to be registered as a lawyer in Ontario, and the Law Society of Upper Canada also sent Berardino a letter, asking for information about Bornmann. Kevin McCullough, Virk’s lawyer, told court that Berardino replied to the law society in a letter dated Nov. 9, 2006, that he couldn’t provide any information when the trial started and that the allegations had already been published in media reports. “That’s an interesting way that he has decided to discharge his special prosecutorial obligations,” McCullough said. Berardino’s refusal to provide adequate disclosure to defence lawyers despite repeated requests, and his failure to inform the law society of the allegations against Bornmann are indicative of a deal, McCullough said. “These are the kinds of deals that are only done on the downlow,” he said. The defence team has been arguing in court that Bernardino has not fully disclosed all the evidence that he and police have compiled in the investigation. The reason, they say, is to avoid revealing information that doesn’t fit the case against Basi and Virk. McCullough said Berardino has stonewalled the defence team on disclosure issues and chose to talk to Bornmann’s lawyer by phone, later saying he didn’t have any notes. Berardino also abruptly cancelled the immunity deal with Bornmann because he apparently didn’t adhere to the agreed terms, McCullough said. “What terms is he talking about?” said an exasperated McCullough. He said the deal was likely nixed because Bornmann made false statements to the media that he’d been exonerated by the Crown. McCullough said the lack of disclosure from the special prosecutor fits in with the RCMP’s investigation, “tailored and targeted” on aides Basi and Virk and not on their political masters. He has previously said police abruptly stopped investigating former finance minister Gary Collins, Dave Basi’s boss at the time. The police said no elected officials had been part of the probe. The big question is: Where is Bill Berardino? L. Krog: The former Finance Minister, Gary Collins, told this House that his meetings with Omnitrax representatives had nothing to do with the sell-off of B.C. Rail or the Roberts Bank spur line. New allegations cast those assertions into serious doubt. The allegations suggest that representatives of the Liberal cabinet and caucus set up the Roberts Bank spur line as a consolation prize for failed bidders. Mr. Collins was not the only member overseeing negotiations. Can the Minister of Transportation confirm that other government ministers and MLAs sat on a committee to oversee the negotiations, and can he tell us who they were? Hon. W. Oppal: This case is before the Supreme Court of British Columbia. The member knows that. A special prosecutor has conduct of the case. The member knows that too. Where the matter is before the Supreme Court and a special prosecutor has been appointed, it is totally inappropriate to discuss this matter in public. The member is a member of the bar. He should know better than to ask that question. L. Krog: With the greatest respect to the Attorney General, members of this government are not currently under investigation. This is a matter before the public. In an information bulletin dated November 3, 2003, this government established a steering committee to "assist in overseeing negotiations." The committee was struck "to ensure the best deal for British Columbians." Committee members included the current Minister of Education, the current Minister of Agriculture and the current Minister of Energy. Did that committee ever discuss the potential of the deal collapsing if only one bidder remained? Hon. W. Oppal: However the opposition member may characterize his question, the fact is that when he's talking about B.C. Rail, he's talking about a matter that's before the Supreme Court of British Columbia. He knows full well that it would be totally improper for me or for any other member of this House, as lawmakers, to discuss this issue. C. James: Within the application for disclosure, there is a long list of documents the defence counsel has requested. Those requests are now a year old, and the government has withheld the information from the special prosecutor. To the Attorney General: why has the government refused defence counsel's requests to access information? Hon. W. Oppal: The special prosecutor has advised us that it is not appropriate to comment publicly on any of these allegations that are made. These are allegations that are made by defence counsel. When the defence makes allegations of this sort, I can tell the Leader of the Opposition that the normal course of events is for the prosecutor to respond in court. That's where these matters are heard — in court. C. James: I must state again that my understanding is that the government is not before the courts. We're talking here about very specific materials that have been requested. When this case began, the Premier personally pledged that the government would fully cooperate in the investigation. Now it seems that the government is withholding information. It's been over a year, according to documents, since counsel asked for this information. The opposition is asking the government to live up to the spirit of the Premier's comments by advising the public who is ... representing the province with respect to the information that's not being released. Who is that person, and why won't the government release that information to the courts? Hon. W. Oppal: As near as I can understand the question, the member is asking the government to release documents. We have a trial judge that does that. The application is before the trial judge. It's not before the government. It's not before us. We can't release the documents. That's entirely before the trial judge in the Supreme Court of British Columbia who's presiding over the trial. There's an obvious reason why they're calling the B.C. Attorney General "Stonewally". But what is the reason for the trial of HMTQ vs Basi Virk Basi now being called "The B.C. Rail - C.N. Rail Investigation"
And I am not making this up. - BC Mary. The Crown says that political corruption, even small incidents, can have an extensive and insidious effect. It can have an effect on public confidence in government, on the morale of our public service and also on voluntary public obedience to our laws. After all, much like the justice system, what can be more important to our democratic society than public confidence in our government, in our public employees, in our public officials ... ? Quoted from Special Prosecutor Bill Smart's opening comments before Madam Justice Elizabeth Bennett presiding in Vancouver Supreme Court at the 8-month trial of former premier Glen Clark. See Page 190, Daggers Unsheathed, the political assassination of Glen Clark, by Judi Tyabji Wilson, Heritage House 2002. The Verdict: Madam Justice Elizabeth Bennett found that former premier Glen Clark was innocent. The charges appear to have been politically motivated. VICTORIA - Score one round for Carole James in what will be a long political brawl over the BC Rail deal. James met the press in the legislature's Hemlock Room this week to complain that the government did a poor job of getting the best price for BC Rail. The railway was about to make a lot of money from a coal revival, but the price CN paid didn't reflect the windfall, James charged. She had a point, one that stood up even after Transportation Minister Kevin Falcon came to the Liberals' defence. James said the price CN Rail paid for the Crown corporation didn't reflect a big expected increase in coal shipments from B.C. 's northeast. That could easily add $45 million a year to CN's revenues, but the government negotiated on the sale as if there would be no coal shipments. Taxpayers lost as a result, James said. Falcon, not surprisingly, disagreed when he called into the Press Gallery an hour later - but not that effectively. He confirmed that the coal revenues weren't reflected in the sale price. BC Rail had been carrying less coal, he noted, almost none in 2004. The projections of future business were unproven. No coal contracts were signed at the time of the sale, he said. "People don't pay for what-ifs." But of course they do. My past life includes time as a corporate guy, and when it came to buying a business the 'what-ifs' were the important part. Looking ahead, anticipating changes and reflecting them in the valuation, those were the real challenges. Anyway, the Liberals were pretty positive about the coal mining resurgence. Energy Minister Richard Neufeld spoke glowingly about the coming boom in the legislature almost two years ago. Companies had announced their development plans long before the sale closed. The government has pointed to the evaluation by a Boston 'fairness advisor' to show that B.C. got the best price for the railway. But the Fairness Evaluation report notes that it assumed no coal shipping revenues. Based on a coal revival, using the report's numbers, British Columbians could have expected another $70 million to $120 million for BC Rail. But the government's role was to push the potential and try to get more money for the railway. There's no guarantee that the effort would have been successful, but the seller's job is to paint the prettiest picture. What struck me, listening to Falcon on a balky speakerphone in the Press Gallery, was how the Liberals have been wounded on the BC Rail deal. Falcon should have been able to say look, we had three serious bidders for BC Rail, and CN offered the highest price. That's the market value. End of argument. Except that one bidder, CP Rail, pulled out, complaining the process was unfair. Another, OmniTRAX, has been named in the corruption indictments filed against three Liberal political staffers in connection with the sale. (OmniTRAX has not been charged with any wrongdoing.) The end result doesn't look like a real competitive auction - as Falcon acknowledged with his chosen defence. The Liberals' problem is that they have so many vulnerabilities on this issue. Some people are mad because they broke their promise not to sell BC Rail. Others are angry about the corruption charges. And now others will be mad because the price wasn't good enough. The questions threaten to overshadow the deal's significant benefits, and so far the government has done a poor job of answering them. The result is that even people - like me - who don't believe government should really be in the railway business are left questioning how this deal unfolded. There are dozens of unanswered questions in the B.C. Legislature raid case, including some that Premier Gordon Campbell could answer today. On June 4, B.C. Supreme Court Justice Elizabeth Bennett may provide the means for many questions to be addressed when she rules on a defence disclosure application. That court application in April and May provided a window into the upcoming trial of David Basi and Bob Virk, two former ministerial aides charged with breach of trust and fraud for allegedly giving confidential government documents to a bidder in the $1-billion privatization of B.C. Rail in 2003. Defence allegations are shocking: That Kelly Reichert, B.C. Liberal Party Executive Director, advised Premier Gordon Campbell the RCMP were recommending additional charges against Basi over his involvement in political dirty tricks and manipulation of radio and TV talk shows; that Reichert asked the RCMP not to charge Basi; that the Crown subsequently did not lay charges and much more. - Why has Special Prosecutor Bill Berardino been absent from the entire disclosure application, leaving Crown duties to his assistants? - Why is there no written immunity agreement with key witness Erik Bornmann, a provincial lobbyist, when Crown policy is that one be produced? - Why were Bornmann and his Pilothouse Public Affairs partner Brian Kieran, another Crown witness, allowed to continue their lucrative business lobbying provincial cabinet ministers after allegedly paying bribes to Basi and Virk? - Was Campbell's press secretary Mike Morton directly involved in media manipulation with Basi, as alleged by the defence? - Was Campbell aware of Basi's media manipulation, as also alleged by defence lawyers? - Why won't Campbell answer questions about his knowledge of or his officials' involvement in media manipulation, when no charges are before the courts? - Why was RCMP Insp. Kevin DeBruyckere left on as lead Basi-Virk investigator when Reichert is his brother-in-law? - Are taxpayers paying for lawyer Clark Roberts to monitor the courtroom proceedings and comment on behalf of former Finance Minister Gary Collins, who will be a witness? If so, why, how much is that costing and how long will it continue? - As first reported in 24 hours, government Public Affairs Bureau officer Stuart Chase filed twice-daily reports from the courtroom to Attorney-General Wally Oppal's office. What other cases have received such intense monitoring and why won't Oppal release Chase's reports without a Freedom of Information request? Justice Bennett may demand disclosure on some of these questions but Campbell and Oppal can answer others right now. Why not do so? Bill Tieleman guest hosts Nightline BC on CKNW AM 980 from 7 to 9 p.m. tonight. B.C. Rail, Canada's 3rd largest railway, what's the deal? The Liberals campaigned on a new-era commitment to not sell or privatize B.C. Rail. They were elected by constituents who took them at their word. I'm sure there'll be Liberal MLAs standing up and saying to the minister: "Hey, we said we weren't going to sell B.C. Rail." So how's that going? The Minister of Transportation and the Premier claim that they have not sold or privatized B.C. Rail. It was interesting to hear what the CEO of CN, Hunter Harrison said when he told an analyst upon the conclusion of the deal. He said CN paid "$750 million to buy the business." The Liberals have said repeatedly that they'll release the B.C. Rail sale deal. Open up the deal now. BC RAIL SALE OFF THE RAILS? PRINCE GEORGE, B.C. — City council did the right thing last night (Nov. 3) by voting to postpone the sale of BC Rail in spite of the mayor’s strong support for the sell-off of the profitable public asset, says CUPE BC. “The person who doesn’t know it and has chosen another side is Mayor (Colin) Kinsley,” O’Neill said. Kinsley is one of the nine politicians appointed to a new government committee set up to smooth the sell-off. O’Neill pledged to shadow the government committee and challenge the notion that governments should be selling public assets instead of building them. If the B.C. Liberal government is interested in pursuing any level of accountability, the deal should be opened for scrutiny. It's not enough for the Premier to say he's willing to campaign on this in the next election. What's he going to campaign on? Open up the deal now. So much of this process and this announcement are wrapped up in suspicion and secrecy. The other bidders complained about the process. One even dropped out. The winner was a major donor to the Liberal Party. The fairness adviser raised serious concerns about leaks. The government said not to worry. The Premier isn't showing us the deal. After getting home on May 22nd and checking the newspapers for any indication that CanWest is giving thoughtful consideration to The B.C. Rail Trial Thus Far [cue the maniacal laughter], I decided that TLR blog might take an extended rest, too, for the duration of the adjournment. So I'll be back on 4 June 2007 with, I hope and pray, news that Madam Justice Elizabeth Bennett has made her momentous decision and rules that yes, the trial of Dave Basi, Bobby Virk, and Aneal Basi shall proceed. PS. Last evening I heard some lawyers and journalists in a roundtable discussion on the Canadian justice system (in relation to the Conrad Black trial which is being heard in Chicago, under U.S. law). They were fairly unanimous (even the U.S. guy) in saying that, yes, Canada's trial system is incredibly slow but that it is also remarkably rational and fair. No 100-year sentences here, for example. And (you'll be glad to know) our Disclosure protocols are much fairer to defence than in U.S.A. where big shocks can happen to defence during trials. Clayton Ruby remarked that the only Canadian improvement he could wish for would be to have cameras in the courtrooms, not for every trial but for those having a wide public interest. "Such as," thought BC Mary, "the B.C. Rail trial in which three former, powerful public servants are the accused." " ... Indeed, the trend toward criminalizing political behaviour, now gathering steam in the U.S., is one we should go out of our way to avoid. Far from cleaning up government, it has merely made public office more risky, but scarcely more honourable." Q: So corruption has reached ... "into all levels of society"?? Andy Orr -- a Campbell Administration fixture -- has resigned, effective immediately, as Executive Director of the Public Affairs Bureau of the Gordon Campbell government. He has been part of the Liberal regime since 2001 as the principal communications conduit between the administration and the press gallery. "It's hard to overstate the significance of his departure" said Sean Holman on Public Eye Online. Commenting on the resignation, Bill Tieleman asks "Is Andy sending a message?" Andy Orr, a onetime journalist, had also left as NDP Premier Mike Harcourt's press sectretary to go lobbying before Harcourt's term ended, with the premier in deep shark-infested waters. ...When the Liberals took power, Orr went on to become executive-director of the government's Public Affairs Bureau, overseeing the agency's growth into a $36-million operation that employs more than 200 people who stickhandle the government's policy announcements as well as its relations with the media. But Orr's influence diminished somewhat in the past year with the rise of Campbell's deputy minister, Jessica McDonald, who has taken a firm control of the public service and the premier's office. Orr, once a key player in central strategy, found himself dealing more with staffing and bureaucratic matters. "I believe that when people decide it's better from them to do something else, it's better to do something else," he told the CBC. Note: There were 185 new communications officers hired 12 September 2006 under Order in Council No. 656. Just wondering: did they come under Orr's supervision all at once, in addition to the spin doctors already on staff? Bit of a challenge, all right. The complex criminal case, which is still mired in pretrial arguments, has rocked the provincial Liberal government. The BC Rail investigation was one of several probes that culminated in a police raid of Dave Basi's and Mr. Virk's offices at the provincial legislature in December, 2003. Mr. Basi and Mr. Virk were aides to government ministers handling the BC Rail sale. Mr. Bornmann has admitted he bribed Dave Basi and Mr. Virk while he was working for a firm called Pilothouse Public Affairs Group, whose clients included OmniTRAX, a U.S. company that was one of the three bidders for B.C. Rail. Mr. Bolton said there's nothing in writing about any deal with Mr. Bornmann or why Mr. Berardino abruptly cancelled it. The Crown has said Mr. Berardino will make a statement in court about the agreement with Mr. Bornmann, but Mr. Bolton said that's not good enough. "It's not useful for the special prosecutor to make a statement or answer specific questions for the court if he's not available for cross-examination because cross-examination is [the] engine by which we search for the facts." Special prosecutors are appointed by the government after a request by police when there's a perception of bias in political investigations. Kevin McCullough, who represents Mr. Virk, said it doesn't make sense that Mr. Berardino struck a deal with Mr. Bornmann without knowing what he'd say because that would taint the man's testimony. "It's a deal on the down low, it's all on the QT, it's all on the unspoken," he said. "When there isn't a written immunity agreement these are the concerns that come up. It's complete ineptitude." Mr. McCullough said defence lawyers only learned that Mr. Berardino cancelled the deal because of a letter disclosed to them by Mr. Bornmann's lawyer instead of any information that came from the Crown. He called that the "theatre of the bizarre," adding, "That makes no sense to any of us." Court has heard that Mr. Berardino phoned Mr. Bornmann's lawyer to say he was going to cancel the immunity deal because Mr. Bornmann falsely told some media outlets he'd been exonerated of any wrongdoing. # posted by BC Mary @ 8:18 p.m.
How did CanWest serve the public interest today, at the start of the 2-week adjournment of the B.C. Rail, Basi Virk Basi pre-trial hearings? What kind of B.C. Rail, Basi Virk Basi news reports are offered in their three big B.C. daily newspapers? Premier Gordon Campbell should step forward and assure British Columbians that neither his government nor his party condone political dirty tricks or taxpayer-funded partisan activities. The allegations -- and that is all they are -- coming from the Basi-Virk corruption trial are alarming. They include claims of a political dirty-tricks operation run by Dave Basi while he was working for then-finance minister Gary Collins. The defence lawyers say evidence shows Campbell and senior members of his staff knew of the practice. The lawyers have also alleged the Solicitor General's Ministry lobbied the RCMP not to interview Collins immediately after the legislature raids. Campbell has maintained that because the matter is before the courts any comment could be seen as interfering with the course of the trial. Governments have traditionally avoided any comment dealing directly with evidence heard in court. Even in cases like this one, where there is no jury, there is a fear that politicians' comments might be seen as influencing the outcome of the trial. But there are legitimate exceptions to that approach. Under the British system, politicians can seek guidance from the Speaker when they feel the public interest demands comment on a matter before the courts. The last Canadian parliamentary committee to look at the issue concluded that politicians should not feel overly constrained by the convention, noting the risks to the justice system are small. Even if the government maintains its silence on evidence or arguments from the court proceedings, a response to the broad issues is not just possible, but necessary. Silence leaves a cloud over the government and fuels public suspicion. Campbell can and should make it clear that he does not approve or tolerate political dirty tricks or partisan activities at the taxpayers' expense. He should promise an investigation if any allegations remain unresolved by the trial. And he should commit to appropriate action if problems are revealed. None of those commitments could be seen as influencing the trial. But they would offer an important reassurance to British Columbians about the government's ethical foundation. The NDP's decision to donate MLAs' 29-per-cent pay raise to charity seems noble enough, but the gesture still falls far short of what Carole James promised two weeks ago. She said then that the NDP opposed the whole enchilada -- the pay hike, the gold-plated pension, the tax-free perks and benefits -- and they'd refuse it all if the Liberals forced it through the legislature. Gordon Campbell called her bluff and now, facing a divided and restless caucus, she has backed off from her vow of poverty. NDP MLAs are still taking the pension -- the most lucrative part of the whole shameless booty haul. They're still taking the perks and benefits. And, even though they're sacrificing the pay hike -- for two years, anyway -- the grossly inflated salaries recommended by the independent panel will still be used to calculate their stratospheric pension benefits. They refused to put their money where their mouth was. Now they want to play the martyrs, sacrificing themselves to atone for the sins of the wicked Liberals. Consider James's own pension. Even though she's giving her pay raise to charity, her pension benefits will still be calculated on her new, $147,000-a-year salary. None of this lets the Liberals off the hook, of course. The New Democrats may be hypocrites, but the Libs are just plain greedy. Consider this little cash grab that's been overlooked in the whole mess: The independent panel that recommended this breathtaking pay-and-pension package also called for a reduction -- yes, a reduction -- in the notorious Capital City Allowance. The unlimited allowance pays MLAs $150 a day, tax-free, for every overnight visit to Victoria. The panel recommended that be replaced with a $61-a-day allowance, capped at 75 days per year and requiring MLAs to produce receipts to collect the reduced amount. The Liberals simply ignored this proposed rollback and took only the increases recommended by the panel. Remember the Grinch reaching down the chimney to grab that one last speck of food? You get the idea. And, um ... Michael, you psychophantic* bonehead: your attempt to angelicize the LINO side of the Legislature falls flat. Hopeless task. They ain't angels. Plus didn't you hear David Schreck on CBC (Rick Cluff) making a strong case for a complete opt-out from Bill 37. Apparently the golden pension is really only a big benefit to about 4 NDP MLAs and is, therefore, for the Liberals, much more of a big deal. Come on, Michael. You're still youngish. Straighten up and write what's fair. - BC Mary. *sorry, Michael, that was meant to be sycophantic. "We know in the July 4 report to Crown, charges aren't recommended," [Basi lawyer, Kevin McCullogh] told B.C. Supreme Court Justice Elizabeth Bennett. "Well, what happened?" he asked. "They said they were recommending charges June 24 but they aren't recommending charges on July 4. The point is, what happened between then? "The only reasonable inference that can be drawn is that there was political interference in the police investigation," McCullough said. Janet Winteringham, a member of the special prosecution team, told the court she made the charge approval decision and the views of the Liberal party were not taken into account. "It was not something that was influenced by the views of the Liberal party," she said. Polls say NDP leader is on the side of the angels, but . . . So there were the B.C. Liberals, all drooling like Homer Simpson in a doughnut factory, getting set to chow down on a massive pay-and-pension smorgasbord. And there was NDP Leader Carole James, the selfless protector of B.C. taxpayers, vowing to vote no to the whole outrageous booty haul. Liberal House Leader Mike de Jong even admitted the cash grab will anger many voters. So why did James look so glum yesterday while de Jong looked like a guy who just hit the lottery? Because James knows that, despite her bluster, many of her own NDP MLAs want the money and will probably take it. Heck, I wouldn't be surprised if James ends up taking the loot herself. She may be on the taxayers' side of the issue for now. But she knows this is going to blow up in her face. And the Liberals love it. Consider the choice that now faces NDP MLAs: Their leader is asking them to walk away from a $22,000 raise and a pension plan that could be worth $1 million or more. Principle will only get you so far in this racket. Money talks a whole lot louder. The Liberals, meantime, looked absolutely gleeful. They'll take the money with no apologies, confident voters will quickly forget all about it. They're probably right. Especially if a bunch of NDPers wiggle in beside them and wedge their noses in the trough, too. Here's how this will go down: James will convince her caucus to vote against the pay-and-pension package in second reading today. Then they'll try to move amendments to reduce the size of the pay hike. It will be a futile gesture because the Liberals will vote the amendments down and the package will be passed into law. Rest assured some NDP MLAs will maintain the moral high ground and will refuse the cash. Some of them are genuine class-warriors who will happily flagellate themselves for the sake of the proletariat. B.C. politicians will have seven long days and nights to decide whether to accept a 29-per-cent pay increase or turn it down on principle. In what appears to be a trap laid for the NDP, which opposes the raise, the Liberal government tabled legislation yesterday that will force politicians, in the words of house leader Mike de Jong, to "put the money where their mouth is." The bill follows the recommendations of an independent panel to boost MLAs' base salary to $98,000 from $76,100 and increase Premier Gordon Campbell's wage by 54 per cent, to $186,200 from $121,100. The Opposition leader, cabinet ministers, parliamentary secretaries, Speakers and caucus officers will also receive sizable boosts to their extra-duty pay. In addition, the bill reinstates a pension plan for MLAs with a minimum six years' service and terminates the group RRSP program. But the bill comes with a catch: Accept the raise within seven days of it becoming law, or you'll never get it, no matter how long you're in office. MLAs who opt out would continue to receive the current level of pay, and be able to contribute to the RRSP plan. Their names will be posted on a legislature website. MLAs elected in the future will automatically receive the pay and pension package. A PUBLIC INQUIRY INTO THE SALE OF B.C. RAIL? Tielman believes the case will eventually go to trial, but he has questions. He wonders aloud why the Ministerial Aide for Gary Collins is facing charges, but no charges against the Minister. He wonders aloud why the lobbyist at the core of the case has not been charged. Tieleman says while it is not his intention to presume guilt or innocence, he is left to ask why those who are well connected or members of the Liberal party have been spared prosecution? Tieleman was one of three panel members at the evening session at the College of New Caledonia. All three have been openly opposed to the sale of B.C.Rail, so their messages were no surprise to the 100 or so in the audience. * Loss of some $15 - $18 million dollars in annual salaries in the Prince George Region. * Forest companies are now paying higher transportation costs making it more difficult to get their goods to market at a competitive price. * Loss of some $100 million dollars a year in profit that could be channeled back into the B.C. economy. It's time for an alarming update on two issues that pose big potential problems for the Liberals, the MLAs' pay raise and the Basi-Virk corruption trial. First, the trial, and the misadventures of Attorney General Wally Oppal. Since the start of the trial of Bob Virk and Dave Basi on corruption charges in connection with the B.C. Rail deal, the government has had a political staffer as a full-time monitor on the courtroom. Taxpayers have been picking up the cost. There's nothing wrong with that. The trial has seen allegations of government misconduct. It's reasonable that the government would want to have a firsthand report, even though ministers have refused to answer all questions about political dirty tricks and other issues raised in court. This week the NDP decided to ask what the public affairs bureau staffer, Stuart Chase, was doing. Oppal's responses were contradictory and, it turns out, wildly misleading. "He merely reports to the government and other people regarding what's going on in courtrooms," said Oppal. "He assists the media, and he assists people." As the NDP kept asking, the answers kept shifting. When the opposition asked Oppal to make the reports from the courtroom public, he said maybe there were no reports from Chase. And then he said Chase was there to help report[er]s and curious members of the public who wander into the courtroom. "It assists if we have somebody there explaining how the system works to the public," he said. Except that was all rubbish. Victoria Times Colonist political columnist Les Leyne called Chase to ask what he was doing in the courtroom. And Chase flatly contradicted Oppal. He sends reports to Victoria on the trial twice a day. He never briefs reporters or talk to the public. Maybe Oppal doesn't know what's going on. But that still doesn't explain why he provided inaccurate answers. Sometimes BC Mary turns to trusted others in search of balance and equilibrium when scanning the Big News Media and figuring out what's best to post here on The Legislature Raids. I appreciate the brainpower, skills and sometimes humour that is generously offered behind the scenes. For example, Bill Tieleman is outstandingly generous in sharing his articles. The Anonymice are solid indispensible supporters as well. As time goes on, CanWest news services are starting to carry a few reports about the B.C. Rail - Basi, Virk, Basi trial. Although welcome, these reports have problems. The uncontrollable CanWest bias still tries to make most allegations sound like the NDP's fault, whereupon the reader is knocked back in disbelief. But CanWest also allows in bits of real news, as in the following story. What to do? Today, when the piece from Victoria Times Colonist showed up, copied below, I asked for an immediate editorial consultation with our old friend Anonymous, the esteemed author who dissected the Application for Disclosure for us. In quick time, I received certain ... ahem ... commentaries which with permission I present here embedded in the TC story. The bolded comments on Big Media's news of the day, are spoken by Anonymous. I have added in square brackets, some words to clarify certain mysterious CanWest omissions which, as usual, happen to shield the B.C. LINO Party. Which unfortunately is what makes CanWest so unreliable as a news source. Thanks, Anons One and all. - BC Mary. The B.C. Liberal government is adamant that it will utter not one word about all the dirty-tricks allegations emanating from the B.C. Rail political corruption trial until judgment has been rendered. When the RCMP interviewed party executive director Kelly Reichert, he allegedly told them he'd prefer not to see any charges laid in that regard because it would embarrass the [BC Liberal] party. That interview followed a meeting Reichert had with Premier Gordon Campbell, which left the Opposition wondering whether Reichert was reflecting the premier's views during his interview. The answer, as usual, was: "We're not going to comment on evidence that's before the courts." That didn't stop the NDP from feasting on the new link to the premier's office for the duration of question period. Anonymous: Huh? Something wrong with the Official Opposition behaving like an Official Opposition? Said NDP Leader Carole James: "According to documents read in court, the RCMP asked Mr. Reichert if the potential for harm to the party should take precedence over good prosecution. Mr. Reichert said it would." Attorney General Wally Oppal maintained his staunch refusal in the legislature to comment on cases before the court, a stance that has earned him the nickname "Stonewally." That prompted James to retort, "We should remind the members on the other side that they did not take a vow of silence. They took an oath of office when they came into this position." Reichert's preferences are entirely understandable. Huh? What Liberal wouldn't prefer to see the whole mess go away? The question is whether his view was informed by the premier's outlook, and whether that preference had any bearing on the police decision eventually not to pursue dirty-tricks charges. Anonymous: It's BS Mary - what Robin's been yelling about - because the documents are now under embargo we CAN'T see them so the only evidence that can be presented is What's read out in court - nonsense. It's based on notes by a police officer made after a tape recorder was turned off. Yeah! Duh. That's part of the insidious implication of the whole report - how stupid is this guy? Various New Democrats demanded in turn that Oppal find out what was going on, condemn it in the strongest possible terms, ask the premier if he interfered, reassure people there are no dirty tricks and investigate the dirty tricks thoroughly. All of which was ignored as Oppal clung to the "it's before the courts" defence like a barnacle. Rich Coleman was solicitor general at the time. He denies any attempt to influence the police. Where did the ministry get the idea it could do so? What "cabinet confidences" were they worried about? Oppal closed yesterday's lesson in politics with this observation. "Evidence doesn't become factual unless a judge says it's factual ... You don't rely on evidence, you rely on the facts that come from that evidence." Anonymous: And this is just plain BULLSH*T. The jury, (which the judge will be sitting in for once the trial actually begins) is the finder of fact and fact is based on evidence led before the court. In cases where the judge acts as both judge and jury - like this one - she's doing both things: deciding what "evidence" is admissible; and how much weight to give that evidence. On the weight of all the evidence (she's gonna decide what to admit and what to reject at some point) presented to her she will determine whether or not the Crown has made its case against the accused. The 'facts' don't change Wally - the judge just decides which ones (for a complicated variety of legal reasons) get admitted as evidence. It sure as hell wasn't a lesson in jurisprudence. I really wonder if Wally is senile. If this were a jury trial we'd be seeing none of this Mary - the defence chose trial by Judge alone for very good and extremly astute reasons - in my view. What Wally says would only make sense if this were a jury trial - but then he'd be saying "the Jury determines the facts and assigns guilt or innocence and the judge determines what 'evidence' they can consider in making that decision. In this case the judge wears both hats - which is why, as we've known all along - the key player is Lizzy Bennett. In that case all this sub judice stuff would be important and the Opposition would BE IRRESPONSIBLE TO BRING THE STUFF TO THE PUBLIC'S ATTENTION. WHY SOMEONE HASN'T MADE THE POINT THAT THE GOVERNMENT'S ARGUMENT ABOUT ' PROTECTING' JUSTICE BENNETT IS INSULTING TO THE COMPETENCE AND INTEGRITY OF A SUPREME COURT JUDGE IS A MYSTERY TO ME. The whole argument that what's said in the Legislature could prejudice this case is complete and utter nonsense. Which is why I can't understand why some lawyer in the Opposition doesn't just stand up and ask why the Govt is trying to protect a competent judge from something you can be sure she's going to ignore anyway - there is NO JURY POOL TO POLLUTE and Lizzy Bennett is seeing everything that either side presents to her anyway. She's either capable of judging this case or she's not. Period. The defence in the B.C. Legislature raid case alleged yesterday that the B.C. Liberal Party asked the RCMP not to charge former provincial government aide David Basi over dirty tricks conducted while under contract to the party. Lawyers for Basi and Bob Virk, two ministerial aides charged with breach of trust and fraud, alleged tricks included a plan to dump manure at the home of B.C. Federation of Labour President Jim Sinclair and a Liberal-organized protest at the Federation's 2003 convention. The Federation strongly opposed the Liberal privatization of B.C. Rail in 2003. Virk's defence lawyer Kevin McCullough alleged that the RCMP consulted B.C. Liberal Party Executive Director Kelly Reichert, who told Premier Gordon Campbell that criminal charges were recommended against Basi. McCullough alleged an "effort by Reichert to not have the charges approved. That reeks of political interference." The allegations come from a June 24, 2005 RCMP report titled: "Kelly Reichert - Do Not Disclose." McCullough said a recorded RCMP interview with Reichert was stopped but a conversation continued. "After the tape was turned off Mr. Reichert was asked if the Liberal Party was comfortable being the victim in three payments to Basi. Reichert said frankly any good to the party by prosecutions would be outweighed by the embarrassment to the party, with the issue of the load of manure dumped on Jim Sinclair's lawn and sending people to the B.C. Federation of Labour convention," McCullough alleged. Sinclair told 24 hours there were protesters at the Federation convention but that his home was never attacked. Sinclair asked why the RCMP would allegedly consult the Liberal Party but not the Federation. At B.C. Supreme Court, NDP MLA Leonard Krog called for an investigation into B.C. Rail and government and Liberal Party conduct. But Attorney-General Wally Oppal rejected any inquiry call. "Because some allegations are made, do we start holding inquiries? Maybe it's accurate. Maybe it's not. Let's wait to see what the judge finds." Defence lawyer Kevin McCullough alleges interference. The executive-director of the B.C. Liberals didn't want the RCMP to charge a ministerial aide because he feared it would embarrass the government and expose the party's questionable tactics, B.C. Supreme Court heard yesterday. McCullough read from a police report dated June 24, 2005, that said Reichert didn't want the Crown to charge Basi because that would bring up other Liberal activities. The report also said Reichert didn't want the party to be outed for sending demonstrators to a convention of the B.C. Federation of Labour, which was seen as being aligned with the Opposition NDP. The charges were never laid. McCullough also told the court that Basi had discussed his radio call-in tactics with Collins and that the RCMP were aware of that from intercepted phone calls. McCullough, who is representing Virk, questioned why Reichert told Premier Gordon Campbell about the pending radio call-in charges against Basi, arguing that his action reeks of political interference. Outside court, Leonard Krog, the NDP critic for the Attorney-General's Ministry, said the Liberals need to come clean about the allegations. "What the premier and the attorney-general need to do now is to get past the stonewalling and answer the questions that have been raised during this trial about alleged political interference," Krog said. McCullough said the RCMP report of Reichert was only disclosed to the defence late last week. It was titled "Kelly Reichert, Not for Disclosure." "I have a niggling suspicion that this is not the only document with the 'Not for Disclosure' title on it," he told Justice Elizabeth Bennett. McCullough said the RCMP, along with the special prosecutor, are controlling the disclosure of documents to protect the Liberal party. There's no information to indicate who told Reichert about the pending charges against Basi. The commander of the investigation against Basi and his co-accused was Reichert's brother-in-law, RCMP Insp. Kevin Debruyckere, McCullough said. ... (Snip}The long-standing defence theory, which has not been proven in court, is that there was political interference in the RCMP investigation ... During Tuesday's question period, [Leader of the Opposition] James said the matter goes directly to the public's trust in government. "Did the premier get involved?" she asked. "Did Mr. Reichert get involved? Did political dirty tricks come out of the premier's office? Did the premier know if dirty tricks were coming out of the office?" Court has already heard how police also investigated allegations of "dirty tricks" carried out by Liberal party political operatives with the knowledge of their political masters. The defence has alleged the police tailored their investigation away from politicians. "Reichert is trying to convince the RCMP not to lay charges because it will be an embarrassment to government," the defence lawyer said. He questioned how the recently disclosed document was "miraculously missed" from being disclosed earlier. The defence earlier alleged Reichert told Campbell on June 24, 2005, that police were recommending charges for the three former aides accused of corruption -- Dave Basi, Bob Virk and Basi's cousin, Aneal Basi. "We still don't have an answer about who told Reichert to tell the premier," McCullough said. The defence in the political corruption trial of former B.C. Liberal ministerial aides David Basi and Bob Virk want the Crown's star witness, his lawyer and the special prosecutor put on the stand. Basi and Virk are charged with fraud, breach of trust and accepting money and other benefits in the sale of the Crown-owned B.C. Rail line to CN Rail in November 2003. Basi's lawyer, Michael Bolton, made the request to the judge during a pre-trial disclosure application, saying it's the only way the defence can get to see the terms of the deal ex-lobbyist Eric Bornman made with the special prosecutor to protect himself. Bolton said he and the other defence lawyers cannot prepare a proper defence because the terms of that deal have never been revealed. Bornman was a lobbyist with Pilothouse Public Affairs in Victoria, who Bolton says, admitted giving bribes to the two accused. He is expected to be the Crown's star witness when the trial proper gets underway in B.C. Supreme Court in Vancouver. The court has already heard how Bornman declared himself exonerated of any suspicion in the B.C. Rail deal, and how that public statement in 2004 caused the special prosecutor to try to cancel the deal. The problem, according to Bolton, is the deal was never written down and there has been no disclosure of it. He said that flies in the face of the public interest. He said Bornman has admitted to giving bribes, but still maintains he's not culpable. And Bolton said that's why he wants special prosecutor Bill Berardino, Bornman and his lawyer on the stand so they can be cross-examined. ... Defence lawyer Michael Bolton, representing Dave Basi, said in court today that Bornmann claimed he bribed government officials but cut an immunity deal with police and the Crown. He reiterated today that details of the deal have not been disclosed, so counsel can't properly prepare their defence of the three accused. Bolton asked the court to order Bill Berardino, the special prosecutor assigned to the case, to appear in court for cross-examination. He added the defence also wants to cross-examine Bornmann, his lawyer George Macintosh and Andi MacKay, a member of the special prosecution team. The cross-examination of a special prosecutor would be highly unusual if allowed by the judge. None of the allegations made by the defence have been proven in court. The allegations were made during legal arguments for more Crown disclosure. The hearing will be adjourned for two weeks to allow the judge to rule on the defence disclosure application, which was heard over the last five weeks. The defence still has a number of other pre-trial applications to be heard. Thanks Neal. Two weeks from now is Wed. 30 May 2007, right? Provincial Liberals have once again tried to turn down the temperature in the legislature by suggesting the New Democrats are at risk of legal action - this time, by asking questions about the Basi-Virk trial. "Go say it outside," heckled House Leader Mike de Jong during today's question period. "Say it in the hallway," demanded Solicitor General John Les. So what does New Democrat leader Carole James make of those threats? Speaking with reporters, Ms James said, "I think it shows this government will do absolutely anything to avoid answering questions. They're trying to threaten people. They're trying to raise concerns that if you say things, something might happen. Well, we're going to raising these issues on behalf of the public. These are serious allegations. The public deserves answers. And they certainly deserve better than they're getting from this government."